My mother never said to me: “You can’t do that.” When it came to finishing high school or going on the road with James Brown, I decided to go. She knew I wasn’t really choosing anything harmful. She just wanted me to have fun with whatever I was doing. She was my backbone. You have to be detached from things in order to really love them, and know that they’re not yours. I can say: “You’re mine,” but that’s not true; when I go, I go and when you go, you go. I came up in the days of free love, so it’s easier for me to lock into that. LSD was a big part of why I left James Brown’s band. I promised myself I’d never do it during a show, but we had a father-son relationship, and he pestered me so much not to do it that one day I just did. My bass turned into a snake and I can’t even remember playing. After, he called me in the back room, as he always did, and was explaining how terrible I was – even when I wasn’t taking LSD. I laughed so hard I was on the floor. To him, that was very disrespectful. He had his bodyguard throw me out. My time in Funkadelic was about creativity. I was 21 and there were no rules. The best time was when we crossed the border to Canada in cars filled with smoke – George [Clinton] had rented a big place on a lake and there were about 20 of us and we recorded America Eats Its Young. The deepest thing to happen was getting busted in Toronto for mescaline and going to jail overnight. If I hadn’t been a musician, I’d have been an artist. Everything I wore on stage I drew on paper and gave to the designer. The star sunglasses, the space bass, all the leather stuff. Even how the stage looked. I got worn out from being Bootsy. Going into the 80s, I was trying to get away from him. He was hitting up the festivals, the stadiums, headlining for 100,000 people. He was like a monster. The business side got really big and ugly because I didn’t know what I was doing. I was just there to play music, and the next thing I knew, everything had turned around. I’ve got around 30 paintings in my house that I paid a guy to do. There’s Michael Jackson, Sting, Marilyn Monroe, Snoop Dogg. I’ve also got one of Metallica – my boy Robert [Trujillo, the bass player] is a good friend of mine. They’re all people who aren’t just followers. I came to my earthly consciousness in 1984. I was riding a street bike in the woods and was high – it was like I was asking for it. I flipped over a few times and was told I wasn’t going to play bass again. I was laid up for months and did a lot of thinking. Once I got the focus off me, I found I didn’t need the drugs. When I later worked with Deee-Lite, it was perfect for me – I got to just be in the band and not be the star. My mother named me Bootsy. My birth name is William Earl Collins. 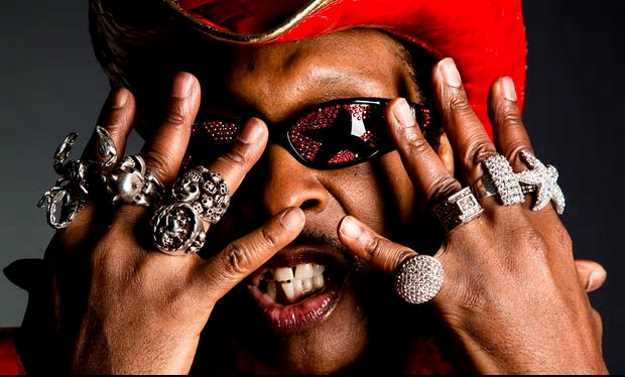 I asked her why and she just said, “Because you looked like a Bootsy.” I left it at that.